It’s Saturday night. The players of my Yatar group have gathered around the table, prepared to face the wilds of Zaza Isle: Poisonous plants, cruel creatures, and an insane grung tribe. However, there’s a new face at the table, my friend, Anthony, and he won’t be portraying a normal player character. We’ve planned something special. As everyone settles (for the second time), I recap last session’s events, reminding them of their unpleasant airship crash, dead crewmates, and grung enemies. 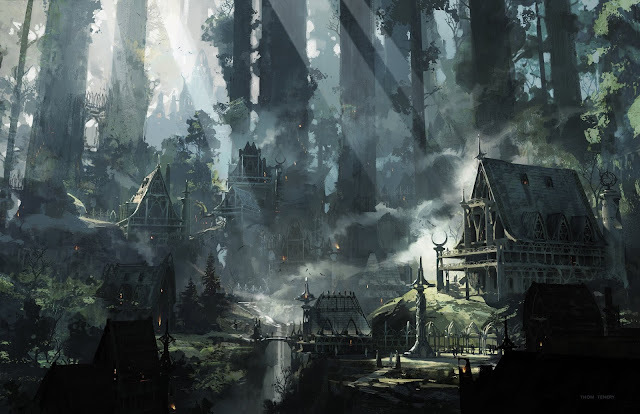 The party ended the last session in their makeshift camp, constructed between enormous, steady trees and smoldering airship wreckage. As we begin, their characters converse about the next course of action: They need to assault the grung village and recover what remains of their crew. The plan starts to take shape, but then, from the thicket surrounding them, they are attacked by grung! Venomous, wooden arrows fly, red-skinned spear wielding tree-frogfolk charge in, and a burly grung riding a bulbous, giant frog leaps into the fray. Following them all is another red-skinned grung who commands this force. It’s Dung-Ziki, as portrayed by Anthony. The combat dies down after the party is surprisingly overpowered and taken captive by the grung. En route to their village, the party escapes thanks to the dramatic spawning of a red slaad. Dung-Ziki returns to the village and its ruler, Chiefess Vung, who scolds him (an act done in front of the players, not their characters) and threatens to kill him if he doesn’t return with all the party intact. Dung-Ziki solemnly leaves, bowing a final time before the chiefess’ throne of skulls and bones, but he doesn’t plan on returning. Not on Vung’s side, anyway. It’s time to introduce this new player character, a monster of the jungle, to the rest of the party. It’s going to be difficult, but it’s going to be awesome. I’m a stout believer that any intelligent creature in Dungeons and Dragons can be turned into a player character race. Goblins and giants, dragons and derro, beholders and birdfolk, and many more. However, you need to have the right dungeon master, player, and campaign. 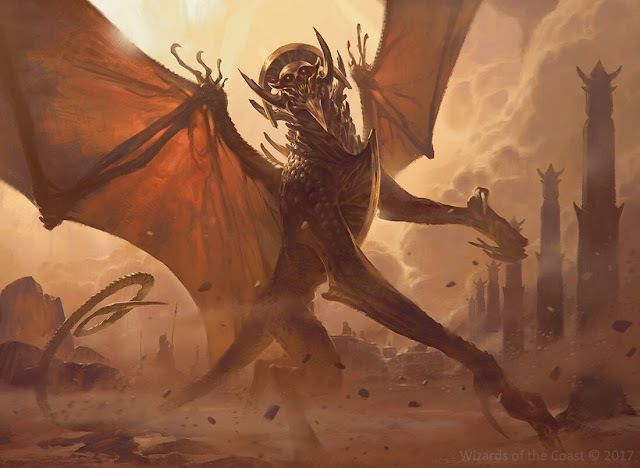 In this week’s edition of Legendary Lessons/Musing Over Monsters, I’ll be discussing monstrous player characters in D&D; specifically, what they are, when to use them, and how to implement them. In addition, I’ll espouse ideas about a few monsters that could make compelling player characters. 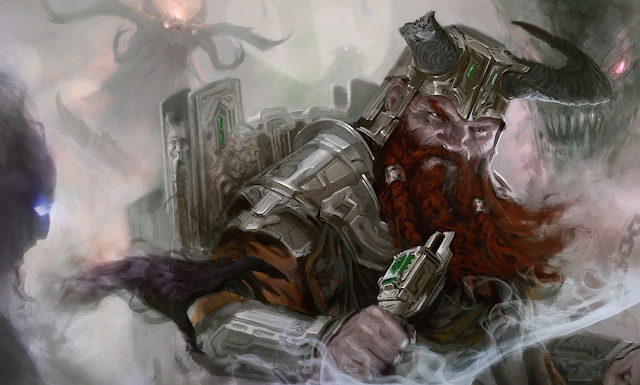 Wizards of the Coast has introduced a wide variety of playable races into fifth edition D&D. 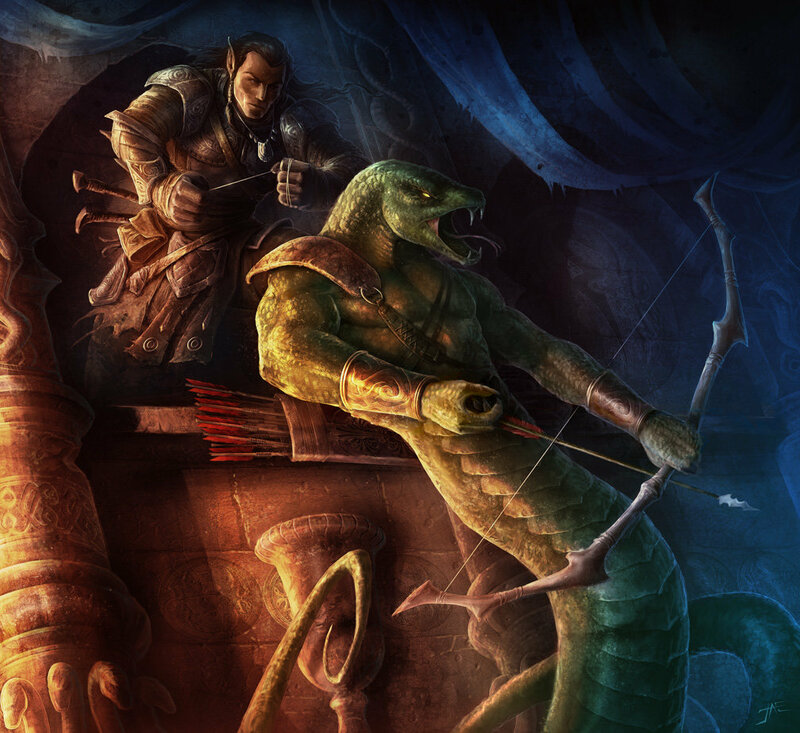 Players can choose from classic fantasy races like humans, dwarves, elves, and halflings, to unique and scarce races such as triton, yuan-ti, and genasi. Compelling characters, interesting plots, and epic stories can be found in each playable race, but sometimes players - and DMs - can be left wanting something unordinary to play with. This is when monstrous player characters charge into the playing field. Monstrous player characters are any race that is not defined as playable per Wizards of the Coast but does exist in the Dungeons and Dragons multiverse. This category includes azer, beholders, devils, fairies, giants, and more. 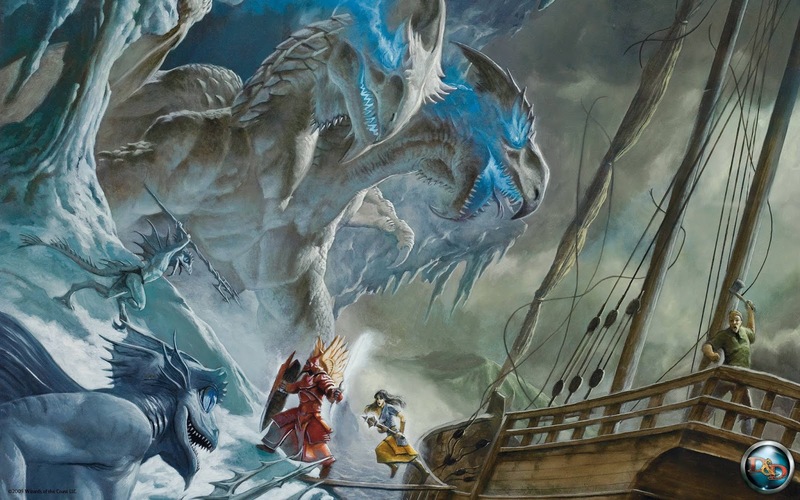 Pick up the Monster Manual, Volo’s Guide to Monsters, or Mordenkainen’s Tome of Foes and flip to the monster section; almost anything found within is, by definition, a monstrous PC. It is worthy to note that with the latter two books, Wizards of the Coast gave stats to a few notable typically monstrous races, including goblins, kobolds, orcs, and yuan-ti. They are, however, still considered monstrous PCs. But alas, I calm myself, look the player in the eyes, and pledge that I’ll make it work - under a few conditions. We’ve already established that your player wishes to play a monstrous PC in your campaign. 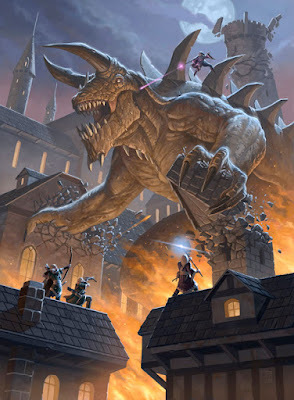 Being a DM and understanding that the world your group parades and fights across is living, breathing, and has societies and cultures of its own that either despise or kill most creatures on sight, monstrous PCs might be a hassle. You know this. Your player might not. Thus, before they embark on this arduous journey, they need to comprehend the consequences that might be in store while playing a monstrous PC. Monstrous PCs may cause other players and their characters discomfort. Before creating your creature posing as a PC, you should both ask for your group’s permission, especially if the creature is wacky. I’m dreaming up something like a tiny beholder, a crippled dragon, or an awakened dire bear. Don’t just parade into session zero with a flamboyant monster; ensure it’s okay with the players of the campaign first. There will be roleplaying consequences for playing a monster. Especially in the beginning of a campaign, a monstrous PC might not be welcome in town - or even killed on sight. What militia would allow an ogre to jolly through their village? Would a lord surrender to the whims of a ‘friendly’ gnoll? The answers are none and no. This phenomenon should gradually disappear as the character becomes renowned across the land, assuming they’re doing good and not evil. 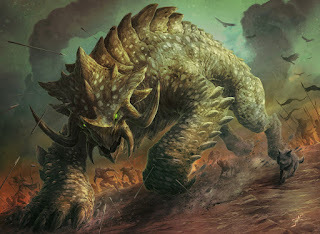 The stats of a monstrous PC will not be superior to those of an already playable race; they will be on par with them. Unless you want to anger your entire group or everyone is playing a statistically powerful monstrous PC, do not bolster the stats of this special type of character. In addition, don’t give it any insane abilities. These disabilities can be worked in via roleplaying to give the PC more flavor. For example, the tiny beholder’s eye stalks were severely charred not too long ago, causing their powers to fade. Perhaps the dragon’s wings are badly torn and their flying speed is 5’ (hilarious to imagine, I know). If the player understands these terms and the group is on board, it’s time to create the monstrous player character. ‘Tis time to get creative, folks. To create a monstrous player character, you need to think unusually but also within the realm of reason. First, it’s important to not give the race too many or too powerful special abilities. One or two interesting actions or skills should do; think about dwarves’ innate resistance to poison, elves’ proficiency with a longsword, or dragonborns’ breath weapon. All of these are great examples of how powerful monstrous special abilities should be. Second, don’t cut and paste another race, change its appearance, and call it a monstrous player race. Give it unique benefits, a little blurb of lore even, and provide information about it in your world. Let’s demonstrate this process in action. 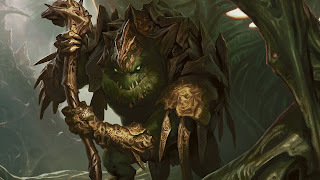 I’m not going to use the grung druid example I’ve referenced multiple times throughout the article; instead, I’m going to build a character I want to play, but will probably end up being an NPC in one of my campaigns. 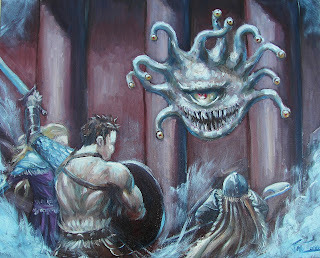 My favorite monster is the beholder, and I’d love to play one, especially in a strange role. Before we get to that, let’s design the ‘beholder’ race. Let’s start with a bit of lore. 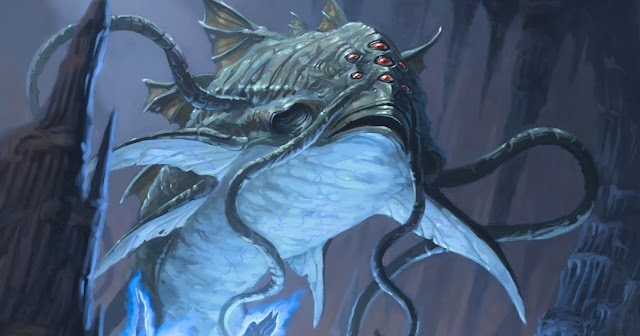 This lore should communicate to the players what the creature is and what part it plays in your world. “Beholders are fleshy, spherical creatures with a massive central eye and a patch of eyestalks sprouting from their body. They range from tiny spheres to large hunks and hover above the ground using natural telekinetic powers. Most beholders are vain, feared by society, and live in the depths of the Underdark. However, some have been known to rise to the surface to control criminal organizations, interfere in everyday life, and become familiars of powerful spellcasters." Using this as a baseline, players should be able to come up with an interesting reason for their beholder to even want to become an adventurer. Perhaps his master was killed, but he has her spellbook? What if all of his eyestalks are missing and he's come to the surface to bargain for peace and a way to get them back? Maybe she's tired of being bullied by a nearby beholder hive and seeks to forge an alliance with adventurers to destroy them. It'll take a bit of thought but that's what comes along with wanting to play as a monster. With their general lore finished, we move on to their traits. These are aspects like stats, age, weight, and special abilities. 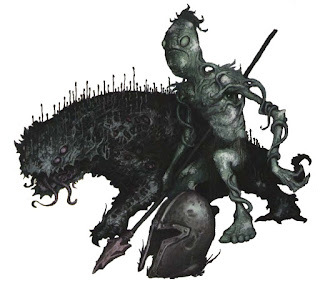 For beholders, usually powerful monsters, we need to tone down their innate characteristics without removing them entirely. To move, they need to float, but they shouldn’t be able to fly. Thus, climbing cliffs and such will be difficult for them. Their eye rays should do something, but not too much. Let’s take a look. Beholders have a variety of innate abilities. Ability Score Increase: Your Intelligence increases by 2. Age: Beholders mature quickly and live to be incredibly old. Most beholders die around the age of 120. Alignment: As most beholders care only about themselves, their race tends to be more chaotic than not. They also have no qualms about hurting other creatures for their own benefit, either by killing or enslaving them. Thus, the majority of beholders are Chaotic Evil or Chaotic Neutral, though exceptions do exist. Size: The diameter of a beholder ranges wildly between 2 feet to 30 feet. Most of this has to do with the beholder's age, diet, and environment. Most playable beholders will be around 2 feet to 4 feet in diameter. Speed: Beholders will their body to move rather than walking or flying. Your walking movement speed is 30 feet. Darkvision: Accustomed to a life in the deepest reaches of the world, beholders have the ability to see in dark and dim conditions. You can see in dim light within 60 feet of you as if it were bright light, and in darkness as if it were dim light. You can’t discern color in darkness, only shades of gray. Levitation: Beholders float above the ground using magic created inside their spherical shape. While walking, standing, or running, you float 5 feet above the ground. Bite: Beholders possess a maw full of sharp teeth. You can use your action to make a melee attack with them using your Strength modifier. They deal 1d6 + STR modifier Piercing damage. Telekinetic: Using this eyestalk, you can wield a single melee weapon as any other humanoid character would. Instead of using your Strength modifier to hit and deal damage, you use your Intelligence modifier. Energy Blast: As an action, this eyestalk can shoot a beam of energy that deals 1d12 + your INT modifier in Force damage. Charm: As an action, you can cast charm person with a DC equal to 8 + your INT modifier + your Proficiency bonus. Blind: As an action, this eyestalk can shoot a thin, black ray that causes a single target to go blind with a DC equal to 8 + your INT modifier + your Proficiency bonus. Languages: All beholders innately know Common and most speak Undercommon due to their life amongst Underdark entities. You know both. Common Names: Bakavlack, Dortex, Halas, Nevrek, Xoriat, Zus. And there it is: A beholder playable race! It’s unique, maintains its monster abilities, and isn’t too powerful. As a disclaimer, I have not playtested this yet (I might soon), so perhaps there are a few builds that can be completely broken using it. However, you wouldn’t be playing this in Adventurer’s League, but a home game, so it’s not too bad. Not inspired yet? Prepare to feel inspired. Here’s a list of monstrous PCs I’d greatly enjoy to play or DM for. Feel free to leave your own ideas in the comments. Kiboko Darkstone, a stone giant warlock cast out from his society for making a pact with an elder fey. He’s roamed the rocky landscapes for years, searching for those who will accept him and his fairy patron. Can he find friendship in material beings? Tinglewing, a faerie dragon sorcerer descended from the line of Tiamat. She struggles with the urge do forgo her goodly nature and give into to Tiamat’s desires. How can she break her bloodline’s evil curse? Kramerj, an ogre bard who’s learned how to play war drums - and use their sticks - to perfection during battle. His tribe was slaughtered in a battle with fire giants, and he was taken as their plaything, a jester in the court of fire giant loyalty. Luckily, a group of adventurers saw his gentle and musical nature and freed him from the giants. Can he survive in a world without his kin, in a world full of hatred for his appearance? Silent Fang, a gnoll monk devoid of Yeenoghu’s constant call. She was born in a roaming horde of gnolls, one that she quickly left after witnessing multiple mass killings of innocents. Deaf to the Gnoll Father’s screams, she couldn’t partake in the feasting of innocents and pointless slaughtering of countless others. Can she step out from her understanding monastery and find a life amongst others? Coralius Neficus, a barbed devil fighter forced to live on the Material Plane for a thousand years by his superiors. He must learn to survive alone in the wilds, or work with the creatures of the world, lest he dies and becomes mere dust in the wind. Can he live out his sentence? Kuunavus, a gold dragon wyrmling druid destined to preserve the Circle of the Moon by her ancestors. Her parents and clutch were killed in an attack by the Dragonblood Cult; somehow, she hid from their attack underneath a leafy tome about the Old World. Once they were finished, she emerged from her family’s lair, tome beside her, and entered the world. With druidic knowledge, can she avenge her family’s death at the claws of the Dragonblood Cult? Russ Ell, a vegepygmy rogue who stole his tribe's cure to russet mold disease and decided to assist those afflicted with the foul sickness. Though he cannot speak, his demeanor seems kind. Folks are mystified by this moldfolk's desire to help them; is there a deeper reason for his sudden kindness - or madness? Magaricus, a myconid wizard who's mastered the mixing of weird and exotic fungi to amplify his spells. She rarely leaves the study of her mentor, a powerful archmage, but has an aching to interact with the outside world and share her strange plant-arcane-magic mix. Will she ever see the light of day, or will her mentor keep her locked in his tower forever? Goooothanis, an imprisoned aboleth mystic able to control a humanoid indefinitely. He is actually controlling a dwarf fighter, slowly leading the party to his cage deep in the Underdark. 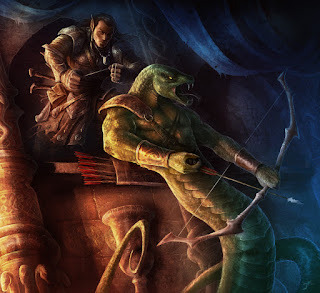 Can he keep up the facade long enough for the party to free him, and will they be benign to this aboleth who only wishes to be free of chains once them find him? Chi-cothi, a githyanki storm zealot barbarian who utilizes the psychic storms of the Astral Plane to disorient and destroy his enemies. She's on a mission to recover a lost gith blade somewhere on the Material Plane - before a group of gith she sees as foes. Will she find allies in her quest, or be forced to face her people alone? 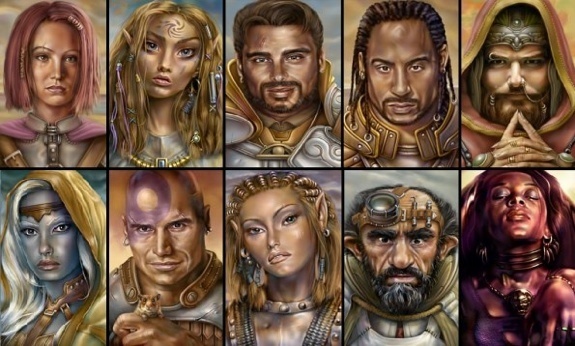 Monstrous player characters are PCs that don’t use the races standard to PCs, such as humans, halflings, tieflings, dragonborn, and goliaths. Only use monstrous player characters when you know your player(s) will be able to handle and enjoy what can be an arduous task. Creating monstrous races isn’t too difficult; try not to give the race too many special or unique abilities, but don’t carbon copy another race and rehash it as a monstrous race. 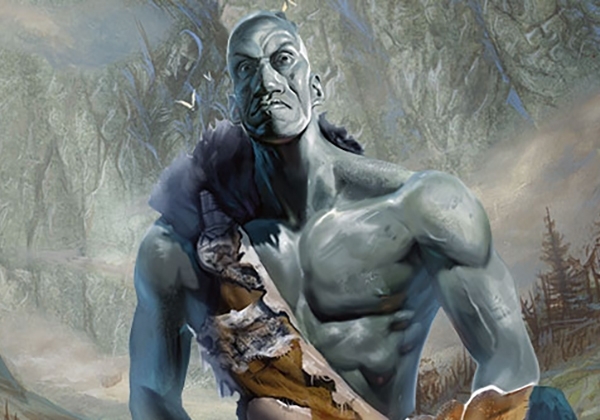 And, if you're not feeling up to creating playable monster races yourself, you can check out this fantastic supplement on the DMs Guild that provides statistics for all of the creatures in the D&D 5E Monster Manual: Monstrous Races. Expect the next article to be about monsters again, as we’re continuing the rotation and heading back to Musing Over Monsters. Although this was a blend of Legendary Lessons and Musing Over Monsters. Nonetheless, which monster(s), though? Well, they come in many colorful varieties and some are more prominent than others. Let’s delve into the less famous hues, shall we? It’s Saturday afternoon. The members of my Eldar II Campaign have just successfully defended a monk monastery against a small horde of red dragonborn, thri-kreen, and yuan-ti. In doing so, they discovered a dark, ancient secret of what is buried beneath the monastery. It complicates things. The party as a whole has a clear path forward. This defense was merely a pit stop, a side quest. 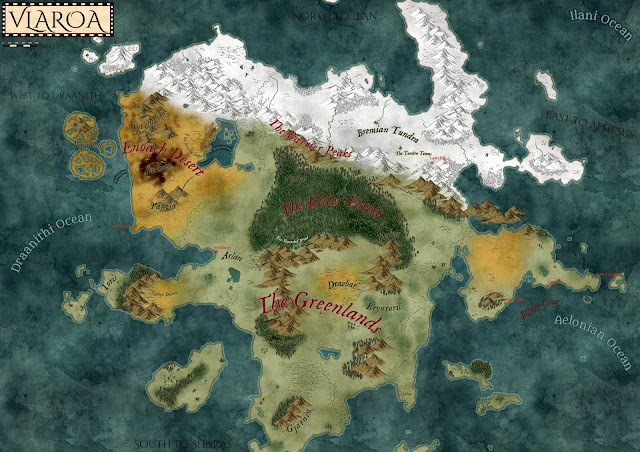 But now, one of its members, a blue dragonborn barbarian named Rovan, is against traveling onward to Imixia, a realm of burning rivers and charred wastes. This secret, the battle, and its fallout have changed Rovan’s perspective on two of his party members. Thus, the once clear path is muddled and murky. Rovan doesn’t think his party has his best interests in mind anymore. Unfortunately for the rest of the party, this disagreement stalls the party in the peaceful monastery. So, what happens when a once unified force is no longer of the same state of mind?